Powercruise NZ at Pukekohe Park Raceway offers car enthusiasts a place to drive your tough street, race, drift or show car, in a safe and controlled environment while allowing you to do all the things your not allowed to do on the streets or anywhere else for that matter these days. This page is to answer any questions you have about being an entrant at Powercruise. You can also watch the compulsory Driver Briefing DVD on u-tube so you can see what is and isn’t allowed to happen on the track in the cruising sessions and events at Powercruise. Do you want to Cruise, Race, Drift, Skid and party at Supercheap Auto Powercruise? 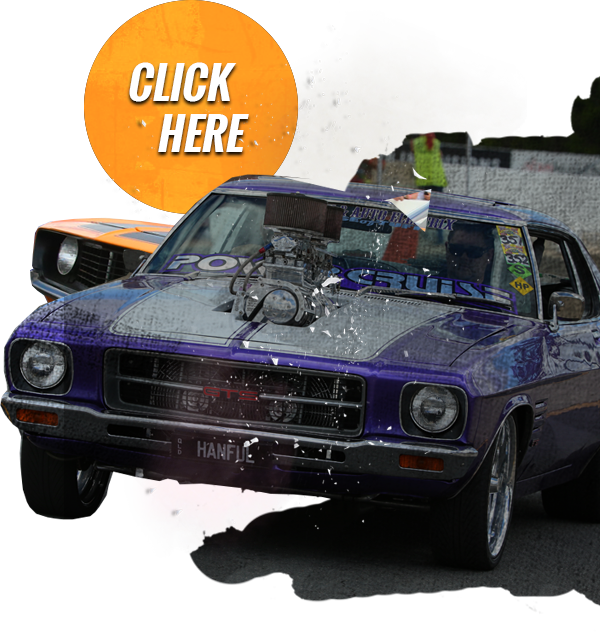 Want to be an Entrant at Powercruise? Entrants just need to be 18+, hold a current & valid drivers licence and have a cool cruiser, or modified car! Entry forms must be completed in full and email to:info@powercruise.com. please direct debit fees. If completing your entry near a cut off date or last minute entries please allow a few days for the email to get to us in time. Powercruise do not take responsibility or make any allowances/exceptions for the postal system. Entry forms must be completed in full in order to submit the entry form. Payment is via Credit/Debit Card only online, MasterCard & Visa only please. Please have current quality photo of your car ready to upload on your entry form also. Processing is instant so please double check your card is good to go before submitting your entry form online. If you experience issues with entering via our online entry form please contact us ASAP or consider using the downloadable “Print & Post” entry form. Our Online forms are compatible with most programs and devices. We offer discounted Entry Fees with cut off dates to make it more affordable for everyone, so don’t miss the discounts. For anyone interested in entering on the day, please go to our accreditation office. See the Event Program for office Hours. Entry Fee on the day is $250, you will need to bring yourself, your valid drivers licence, your car and cash to pay with you. If you want to enter as a ViP Entrant, please call prior to arrival for directions. Please download the Powercruise Entry Form for Entrant information, Terms & Conditions of Entry and Prices. If you want to drive your car at Powercruise then you need to be an Entrant! Powercruise keeps in mind that not everyone has got million dollar cars. So to help make sure we get you and your ride to Powercruise, we offer discounted pricing points, basically the earlier your enter the better the discounts! Powercruise offers discounted Entry Fees with cut off dates to make it more affordable for everyone. The Entrant fee covers 1 Driver and/or 1 car to participate in all the standard track activities for all days of the event, so that means you can go in the cruise sessions, drifting, Powerkids, off street racing, burnout competition, show & shine – all of it! Powercruise is generally for registered cars only however in the interest of all things tough, we do accept some unregistered cars depending on the situation. If your car is supercharged or has a roll cage or any other out of this world modifications that wouldn’t allow it to be run on the roads, then yes this qualifies. If you have an awesome looking street machine that can be registered but isn’t due to affordability or time constraints, then yes this also qualifies. If you have a backyard thrasher with a v8 in it with exhausts exiting through the bonnet and no interior, then this example does not qualify for unregistered entry into Powercruise. Please ensure you send this info before you complete your online entry form. All enquiries will receive a response. Cars entered into Powercruise must be in a good presentable standard, Powercruise is a car show after all, this means cars need to be complete inside and out (includes bonnets, front & rear bumper bars and presentable interior), and be fully painted (no undercoat). Any cars that don’t meet these standards may either be declined or declined from cruising and limited to the competitive events only. Acceptance is at the promoters discretion, if you are unsure if your car meets the standards please scroll down and submit your car images via the link after the Safety Inspection Information. Camping is available for entrants and their crew only. We supply hot showers that are cleaned as often as required. There are also ample ladies and men’s toilets spread around the venue. Entrants can pay for camping on their online entry form or at the gate on the day if they decide to stay over. They is no fee for camping. Powercruise does not book camp sites, we don’t hold sites for anyone. Camping is a first in best dressed deal. Check the venue maps for the allocated camping areas please. Due to the location of the venue, we do ask that entrant adhere to the noise curfew which comes in at 6pm. Please don’t move your car around after this time unless you’re coming or going of course. No Camping Sunday Night. Please note that there will be no camping allowed in Garages this year. All Entrants should also download their copy of the Event Guide, this has everything that you need to know as an entrant at Powercruise! ViP Entry Packages for Taupo Powercruise #74 – coming soon! Powercruise Premium garage hire is available anytime throughout the year. We intend on selling garages for Powercruise NZ well before the event comes up and for years ahead. So with this in mind we have made a Premium Garage Application Form so that everyone has the same equal chance of grabbing a garage for their preferred event. A few rules about what you can and can’t do in the garages. Entrants can no longer camp in their garage. You will receive your garage with no lock on the door. It’s your responsibility to provide your own lock if you want one. The entrant that hires the garage is liable for any damage done to the garage wether they know about it or not so keep your mates under control and all should be cool. You’re not allowed to store fuel in the garages. You’re not allowed to operate a BBQ of any kind inside the garage but you can operate it and cook outside the front door. All garages are laid out in pairs so you may be next to another Powercruise entrant in the garage next to you. If you have mates who also have a garage, we can move people around so you’re in with someone you know. Remember we are all here for a good time and any antisocial behaviour will result in removal from the venue. When booking your garage, we recommend that you complete and submit your own form and make payment yourself direct to Powercruise. We cannot be held responsible in the event of disputes or any problems if you have someone else submit the form or payment on your behalf. If you wish to have your garage next to someone in particular just note it on your application or call or email us and we will do our best to make it happen. Powercruise event results are usually up within a few days of the event or sooner if possible. If you have won a prize and didn’t collect it at the event, you may have read above that we will post your prizes out to you in the mail within 14 days. Usually its sooner but it depends which state you are in. All drivers must be a minimum of 18 years of age and hold a current drivers licence. Learner’s permits are not permitted. Entered vehicles must be road registered, unregistered vehicles at promoter’s discretion by application. Once an Entry Form and payment are submitted to Powercruise, your entry cannot be transferred to another Entrant/Driver, another event or to credit. Entrants are permitted to change the entered vehicle at accreditation, but once through accreditation and safety check, the car cannot be changed. Entrants are permitted to drive other entered vehicles. Your vehicle, current drivers licence & registration papers must be presented at the Accreditation Office. All vehicles will undergo a safety inspection. It is still the responsibility of the owner of the vehicle to ensure that the vehicle is adequately prepared for the event. This includes but is not limited to steering, brakes, “especially pads and fluid” and brake lights, battery clamps and all other safety equipment fitted including seat belts windows etc all shall be in excellent working order. All Entrants also need to be aware that as a requirement of the Queensland Registration Act; any Queensland Registered Vehicle is required to obtain an extension of 3rd party insurance for the duration of the event. For unregistered vehicles entered or failure to obtain the extension for QLD Registered Vehicles will result in the driver being personally responsible for all costs associated with injuries sustained by their passengers in the event of an accident. Powercruise is an alcohol free event. The only acceptable blood alcohol reading for entrants at Powercruise is 0.00. Random breath testing will take place throughout the event. Entrants are required to wear enclosed shoes while driving on the track. For competition driving events including Off Street Racing, Drifting, Powerskids & Burnouts, all entrants are required to wear helmets, enclosed footwear and non-flammable clothing with full coverage from ankle to wrist to neck. All Entrants/Participants are required to follow all Powercruise Staff and/or Official’s directions promptly and to full compliance. Due to the contract terms between Powercruise Promotions and the venue, the venue will always be open and the Powercruise will always go ahead. Powercruise will never be cancelled or postponed due to rain or any other reason. The full entry fee into Powercruise is $250. Powercruise offers discounted rates with cut off dates so to make it more affordable for everyone. By pre entering you understand that you have paid a discounted fee and therefore understand the following conditions apply. A refund of entry fee less a $40 administration fee will be given if the entry is withdrawn in writing 14 days from the start date of the event. Full price entries are accepted online and on the day at the entrant’s discretion and there will be no refunds due to inclement weather, broken down vehicles or for any other reason. Any pre entrants that do not attend the event for any reason understand that they have willingly forfeited their entry fee and there will be no refund and they are not transferable. The entry fee includes entry to the event for 1 driver and 1 vehicle for all events except the Dyno Comp & overnight camping. Camping and the Dyno comp incur an additional fee. All Entrants/Drivers/Vehicles are accepted at the discretion of the promoter. The promoter has the right to terminate my participation in the event at any stage for whatever reason he and/or she sees fit. Entrants who have had all armbands removed due to their misbehaviour on or off the track must take responsibility for their actions and there will be no exchanges or refunds. Upon Entering Powercruise your email address will be added to our E-newsletter database, if you do not wish to receive E-newsletters from us please let us know. By entering this event you agree that Powercruise may use photographs or video footage taken of yourself or your vehicle during the event for publicity purposes including DVD production, television commercials or for future Powercruise events. Any damages caused (wilfully or unwilfully) to any property belonging to anyone including but not limited to, race track walls, safety barriers, fences & signage in the event of an accident, must be paid for. The vehicle/vehicles in question, and/or any prizes/prize money will be retained as collateral until full payment is made. Entrants are responsible for their actions on and off the track. Powercruise Insurers cover personal Injury but not property. If your car breaks down on track, or requires towing for any reason, Powercruise staff/volunteers will tow/recover your car in good faith and will take all care possible when towing or recovering your vehicle, however Powercruise Staff and Volunteers take no responsibility for any damage that may occur during this process, or at anytime at Powercruise. Powercruise Entrants should educate themselves in proper towing procedures. Only approved Powercruise Staff/Volunteers will conduct vehicle tows/recoveries from track, By entering Powercruise you accept the risks involved with towing or recovering your car. Entrants are not permitted to arrange their own tows/recoveries from the circuit enclose. Police may be involved if required. Any antisocial or violent behaviour by anyone inside the venue will not be tolerated; this will result in you being evicted from the venue and reported to the police if necessary with no refunds. Any person caught driving/attempting to drive a vehicle on the track without the correct armbands or vehicles stickers will cause the entrant/vehicle owner to loose their driving privileges and all track access stickers will be removed from the vehicle. Entrants are responsible for their own, and their passengers actions/behaviour. Police may be involved if required. By submitting this entry form, you acknowledge and agree to all Powercruise Terms and Conditions of Entry.